We are a local group of sport enthusiasts that respect nature and spend a lot of time outdoors, performing various water sports like kayaking, stand up paddle boarding, windsurfing, sailing, wakeboarding, diving and snorkelling. Due to many years of experience, we are familiar with every bay, beach, sea current and stone in the surroundings of Hvar and the Pakleni islands. Our mission is to offer you a maximum flexibility so you can enjoy your kayak or SUP adventure without any hassle and perform it at your own pace. Our staff will guide you to the best spots and beaches with crystal clear water, depending on your preferences, the duration of your activity and the weather conditions. All necessary equipment is included in the price: kayaks/boards, paddles, life jackets, dry bags, snorkelling equipment, map, etc. 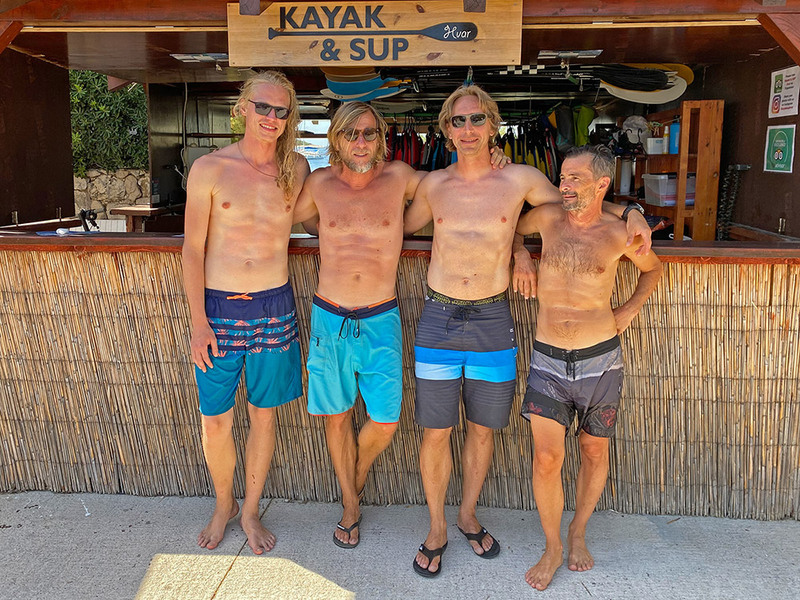 Kayak & SUP Hvar offers customers detailed instructions on where to go and what to see, giving you the chance to enjoy the environment and hidden spots that even some locals don't know about. The location of our centre is one of the best and closest (30 minutes) to reach the most attractive part of Pakleni islands, Zdrilca Channel. It is situated in the bay (Bonj beach), protected from wind and waves and providing excellent conditions for all beginners to practice SUP. We are also located only 20 - 30 minutes paddling along the coast from a "Podstine" place, where you'll find wonderful cliffs to explore during your kayak or SUP excursion.